Take a Network Break! 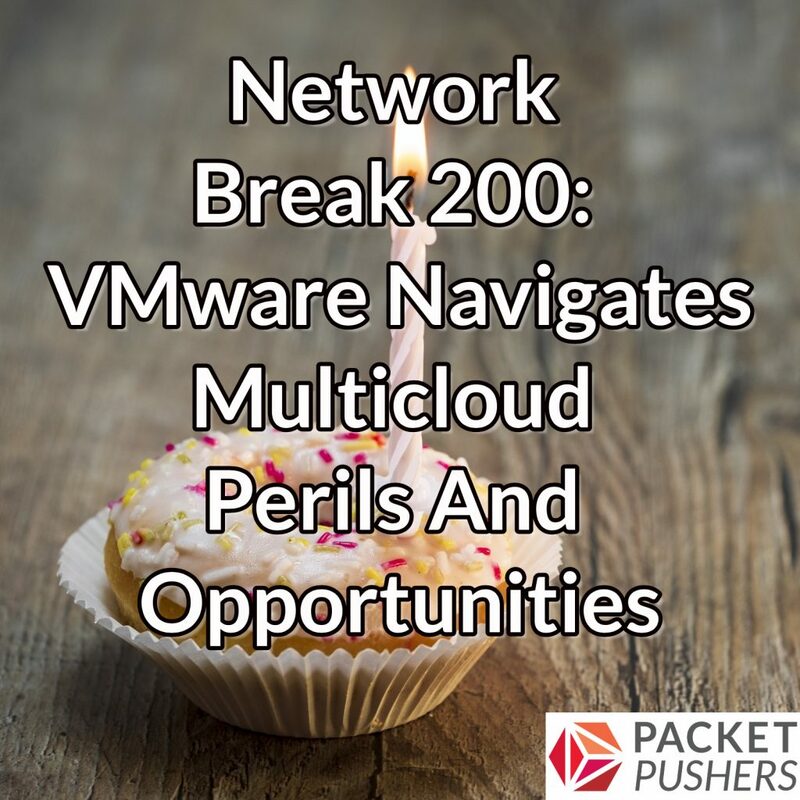 We recorded our 200th episode at VMworld 2018 in Las Vegas. VMware announced a lot of new products and shared its strategy and vision for the coming year, so today’s episode offers context, analysis, and opinion about the most relevant stories from the conference. We discuss VMware’s NSX partnership with Arista, the new vSphere Platinum, NSX for multicloud deployments, and Amazon RDS on VMware on premises. Our show also looks at VMware’s acquisition of CloudHealth and a tech preview of ESXi on ARM64. We also offer a way to think about hybrid vs. multicloud, and look at VMware’s efforts to resuscitate SDN as a marketing label. Last but not least, we tease VMware a little about getting into blockchain.